How are you doing today? I'm okay can't complain. 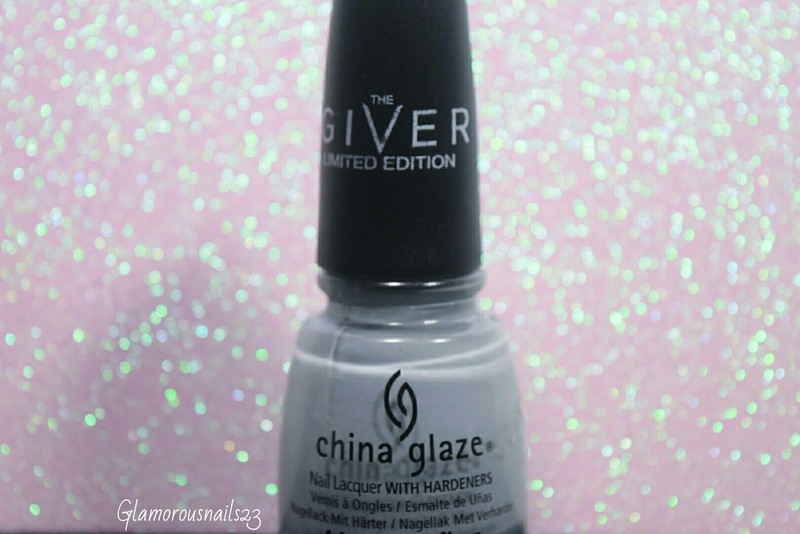 Today I have three polishes from the China Glaze The Giver Collection to share with you. I've had these polishes for only God knows how long and never got around to using any of them. The Giver Collection was released last year. 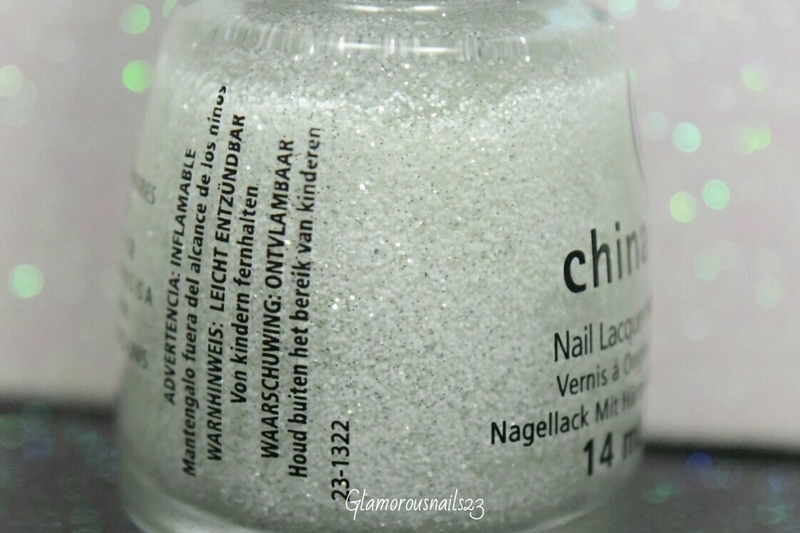 Let's take a look at these polishes! 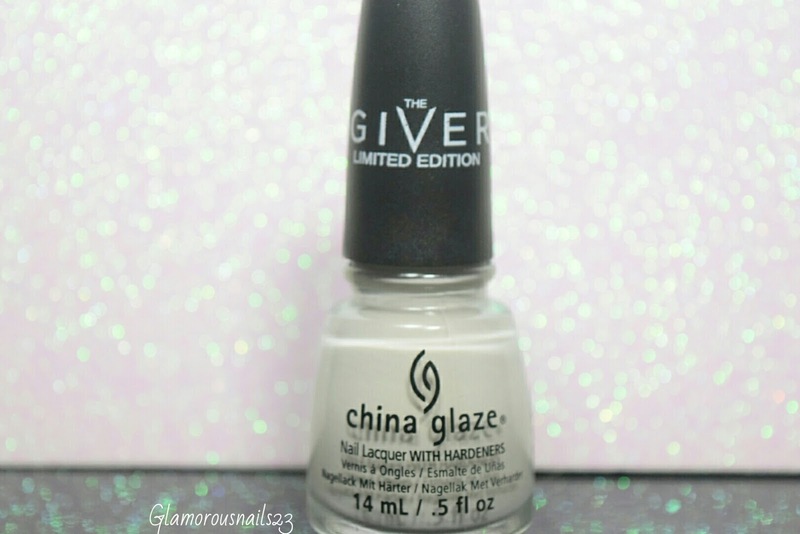 Five Rules is a beige-y grey creme polish. The formula was smooth, a little bit watery but still easy to work with. 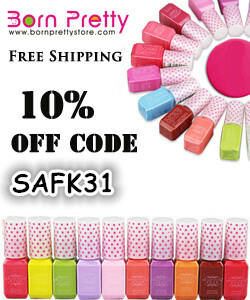 The polish has good coverage, builds nicely and dries fast. I personally love any polish that dries fast, that's always a plus. This would be a nice color to wear during the fall/winter months. The color also kind of reminds me of cement lol. In the pictures is two thin coats with a top coat. Up next is Intelligence, Integrity & Courage. 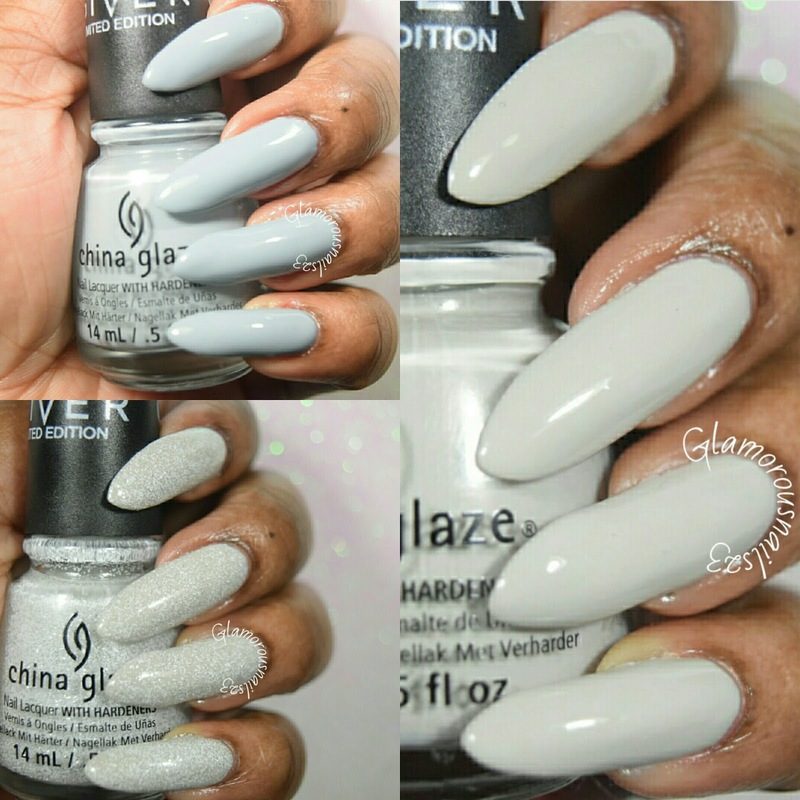 Intelligence, Integrity & Courage is a grey creme polish that has some blue undertones to it. If i had to choose between this and Five Rules I would choose this one. The formula was smooth and the coverage was good. This is almost a one coater (depending on how you polish it could be a one coater). Another perfect color for the fall/winter months. In the pictures are two thin coats with a top coat. The last polish that I will be sharing with you from the China Glaze The Giver Collection is The Outer Edge. The Outer Edge is a white glitter topper. It kind of reminds me of snow lol. 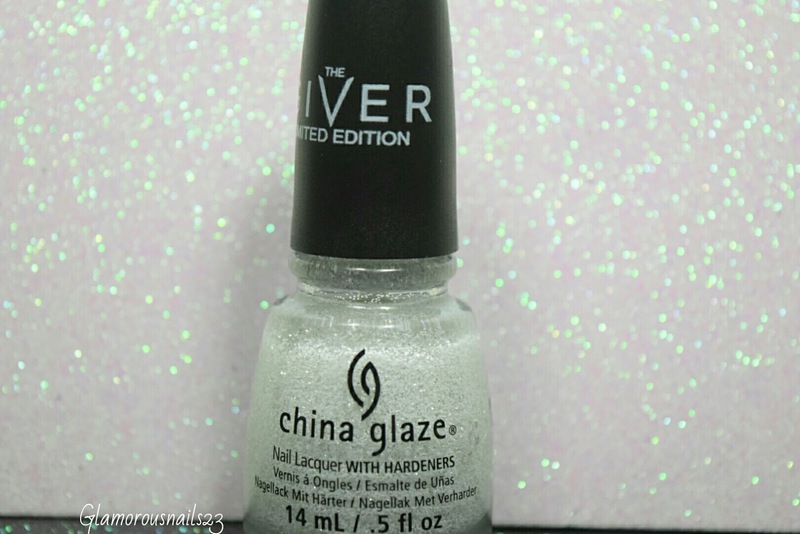 This is such a fun polish. The formula was good and it wasn't thick. 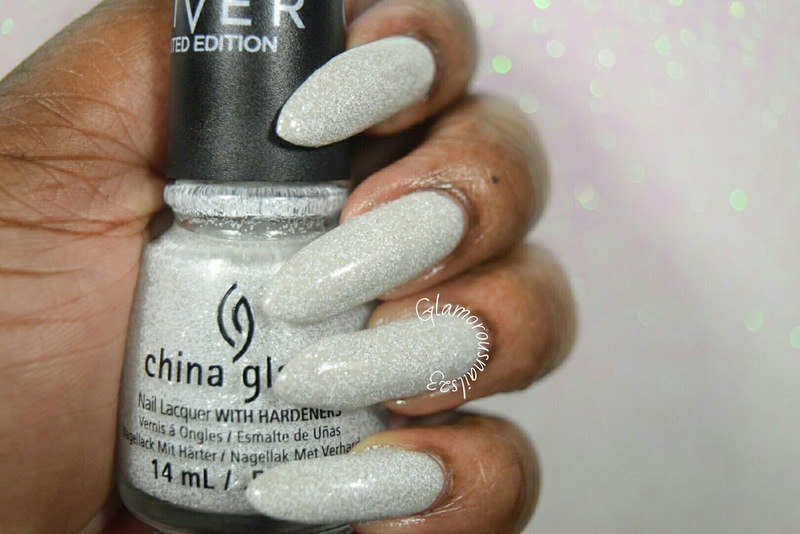 There was no need for fishing/dabbing for glitters and the glitter payoff is great. In the pictures is one thin coat over Five Rules. 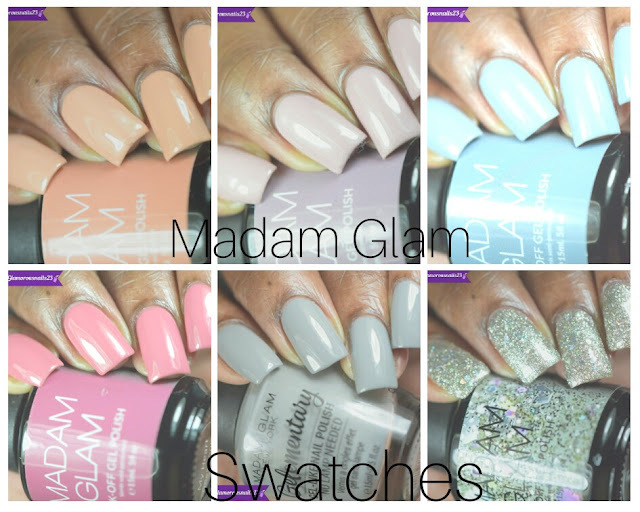 What did you think of these polishes that I shared with you? Were you able to grab this collection while it was out? Which color is your favorite? Let's chat below! woww, the final effect is gorgeous!